An extraordinary thriller set at the frozen edge of the world, perfect for fans of Dan Simmons, Michael Crichton and Dan Brown. In the Arctic Ocean, the US Coast Guard icebreaker Terra Nova batters its way through the pack ice. There shouldn't be anyone near them for hundreds of miles. But then a lone skier, half-dead with cold, emerges out of the snow. 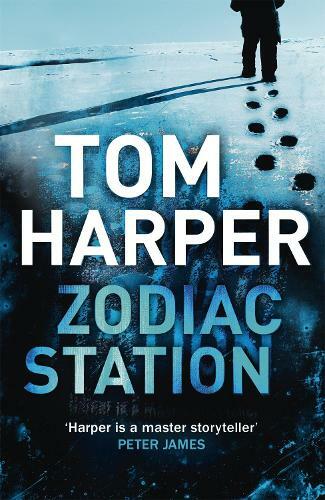 His name is Tom Anderson, and he is the only survivor of a disaster at Zodiac Station, a scientific research base deep in the Arctic Circle. He tells an incredible story of scientists and spies, of lust and greed, of jealousy, mayhem and murder. But his tale simply doesn't add up. Whose blood is smeared across his clothes? Why is there a bullet hole through the jacket he's wearing, and why is that jacket labelled with someone else's name? It's clear that more was going on at Zodiac Station than Anderson is telling. And someone else may have survived the disaster, as well... someone who has killed before, and who is willing to kill again.